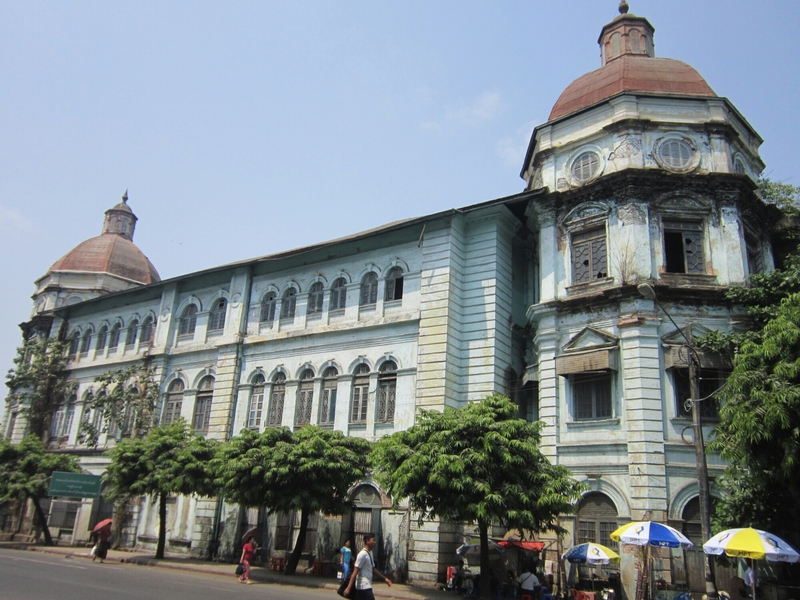 I flew into Yangon to begin my Myanmar exploration, and it was a good place to start! The first night i’d arrived fairly late, so the next day I decided to pack a lot in. After managing to buy a bus ticket to move on (more on that at the end of this post) I headed to the Downtown area. My first port of call was the Sule Paya pagoda, which is situated in a roundabout at the centre of what was British colonial Rangoon. 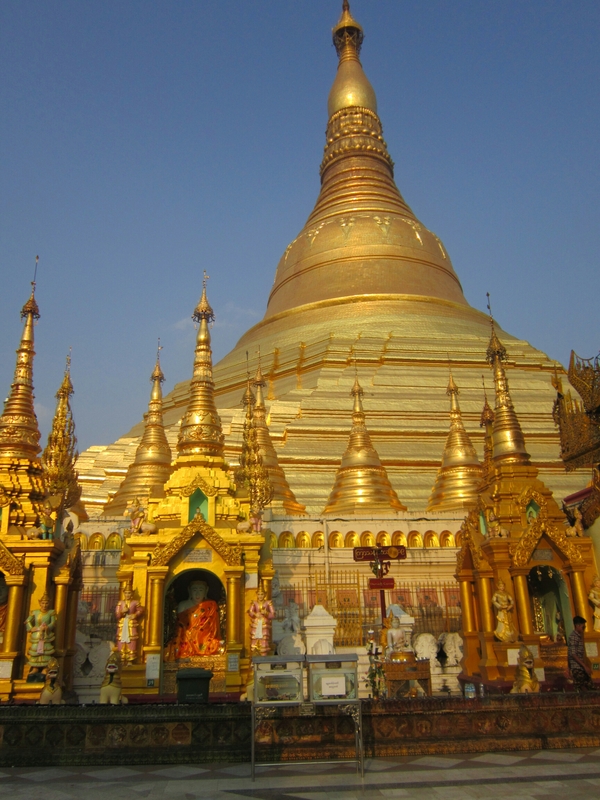 It’s a nice temple, a gold stupa in the centre with shrines around. After that I checked out the nearby Mahabandoola Garden which is very pleasant. 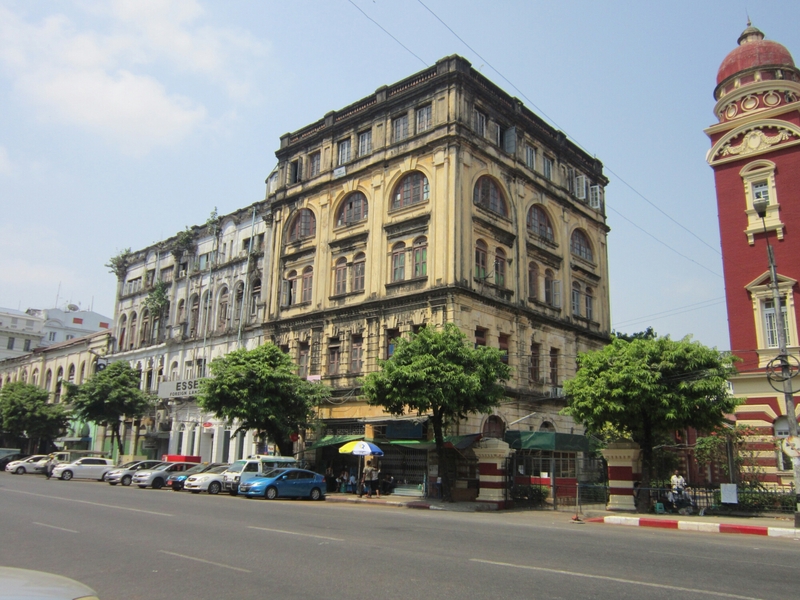 Then I moved on to see some of Yangon’s old colonial buildings and the downtown streets which I found really interesting. 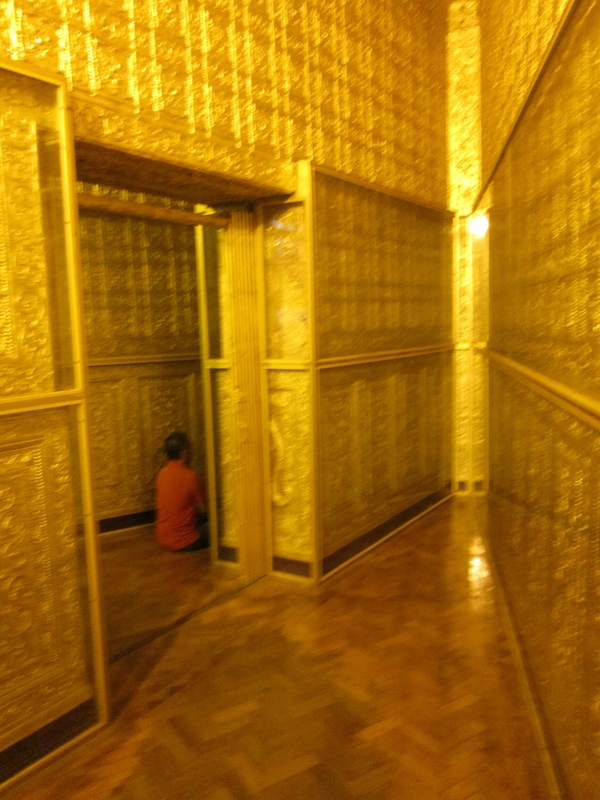 Next up was the Botataung Paya, of which the stand out feature is a set of gold chambers which I found intriguing to wander around. Heading to the large Botataung Paya I had bumped into an American guy crossing the road and we hung out for a couple hours. We really started to notice how friendly the Burmese people are, many saying hi (Ming-gala-ba) or posing for pictures and so forth. We grabbed lunch at Bogyoke Aung San Market before saying; farewell and I headed back to the hostel I was staying at, named Pickled Tea, which is a bit far out from the Downtown area so I needed to catch a Taxi to and from the hostel. It’s crazy hot in Myanmar in April, around 40C in Yangon in the hottest hours of the day, so I needed a rest before continuing! Late afternoon I headed to the highlight of Yangon, Shewedagon Paya, which is a huge temple complex with a big golden stupa in the centre. I spent a couple of hours exploring the pagoda, seeing all the different shrines and images as well as people watching! 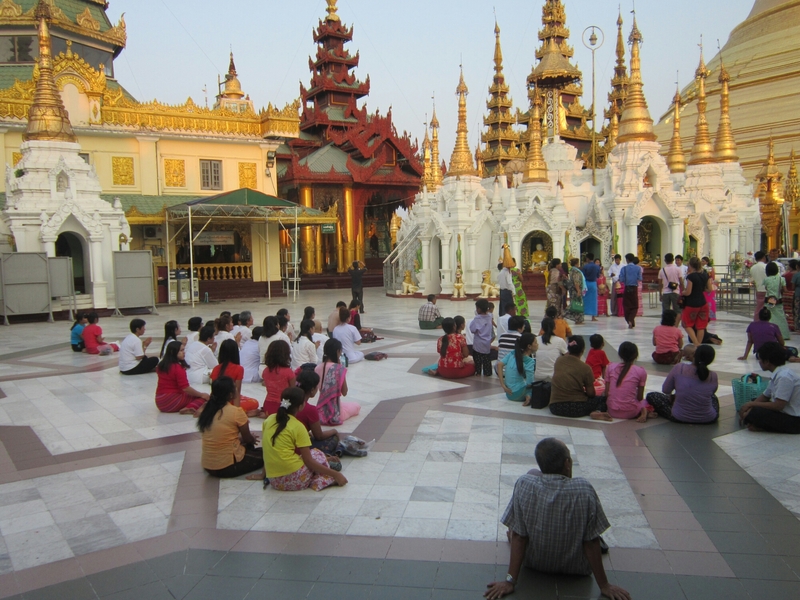 Their was a lot of Myanmar people there, it seemed very social! When it started to get dark the pagoda was lit up, it was very cool to see, very atmospheric. Afterwards I had Burmese food at Aung Thukha Myanmar restaurant. I had no problem getting vegetarian dishes as i’d asked my hostel to write me a note. The food is pretty interesting, very different from i’d been getting in other countries. The next day I didn’t do a lot as it was so hot and I had a night bus to Bagan. I checked out Kandawgyi lake which was pleasant and had more Burmese food at the bustling Feel restaurant which was pretty tasty!